Craft your story in coastal Maine. 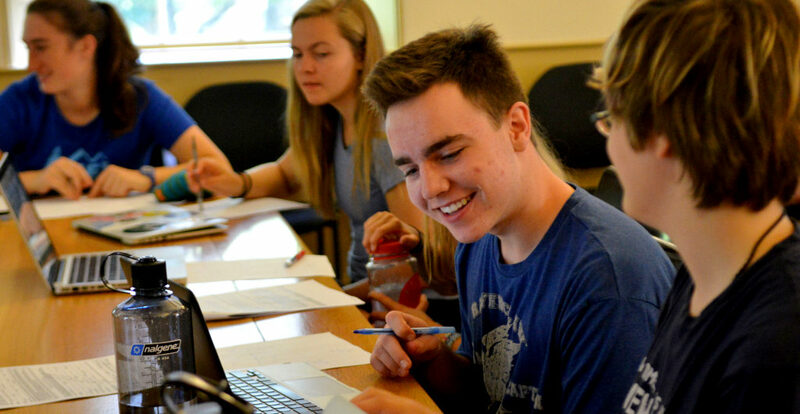 Under the guidance of two Apogee leaders and a master writing instructor, this focused college essay writing program – limited to 12 rising seniors – provides a unique opportunity to create your essay against the backdrop of the beautiful Maine coast. In order to present your best self, you’ll workshop essay-writing strategies and run through a practice admissions interview. And, to keep the creativity flowing, your group will take breaks from the process to get healthy doses of outdoor adventure and community service. 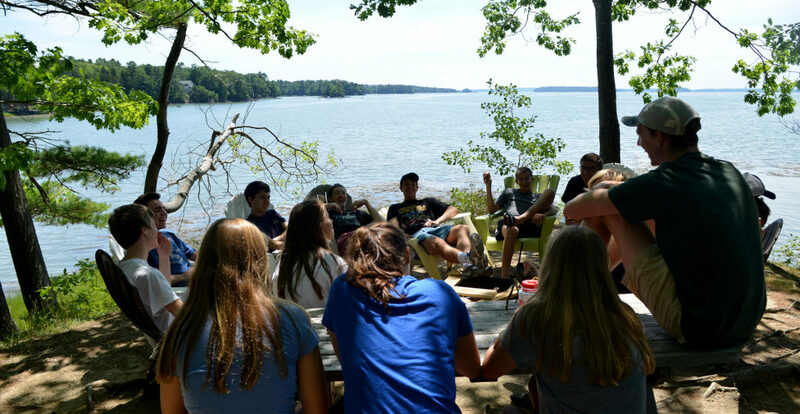 By week’s end, in addition to having a well-developed college essay, you’ll have a great new group of friends and wonderful memories from your time together in Maine. From our base on the Maine coast, we’ll spend several hours each day working on our essays, both individually and as a group. In partnership with our lead instructor, there will be plenty of time for writing, group brainstorming sessions, and peer review. Because the vast majority of first-tier US colleges use the Common Application, we’ll focus our discussions on the 2018-2019 Common Application Essay Prompts (students are, however, welcome to work on any essay topic of their choosing). With approximately 25 hours devoted to writing over the course of the week, we will finish the program with a polished admissions essay, relevant instructor feedback, and a new peer group eager to share ideas over the course of the college application process. Without question, writing the college admission essay is a deeply personal experience – one that taps into an individual’s history in an effort to demonstrate a unique facet of the applicant. That process is no different for our MCCE students; they are digging deep into their well of experience to craft their own essays. That said, our program is designed to facilitate the creative process in a supportive, fun environment – one where the student will receive focused, individual feedback. Because the essay-writing process is so individual and depends on a number of factors (e.g., writing skill and experience, ability to focus, and willingness to accept constructive feedback), we can’t guarantee that your child will emerge with the perfect essay (much less get into that “reach” school!). We can, however, promise a program that encourages individual reflection and creative risk-taking with regard to the college essay. We will provide a beautiful coastal setting and an inclusive environment where peer support and mutual brainstorming are a part of every day. Additionally, our program provides students with individual attention from our Master Instructor, as well as a “toolbox” of skills to bring to the college essay and the entire admissions process. 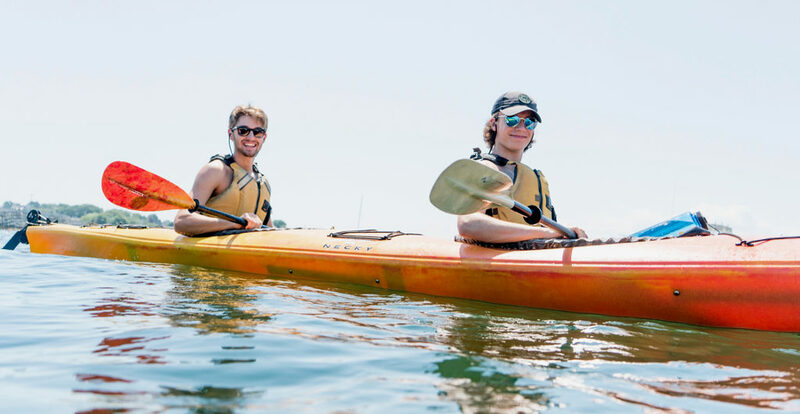 As this is an Apogee program, and because we firmly believe that activity sparks inspiration, we will hike, swim, and sea kayak right out our back door in the picturesque Casco Bay area. Additionally, we’ll spend an afternoon volunteering with a local Maine land trust. On the last day of the trip, we’ll share our finished essays with each other before heading out for a well deserved, congratulatory dinner in Portland’s famous Old Port. Given a rating of Challenge Level 1 (out of a maximum of 10), we consider the physical aspect of MCCE to be very accessible to any moderately fit, motivated student. The focus of the trip will be on writing, but students will also engage in short hikes, sea kayaking, and a hands-on service project with a local hunger prevention program. While the physical challenge level of this trip is low, students should come prepared to be challenged intellectually – as you can see in the trip overview, the college essay will not write itself just by coming on this trip – we’ll give you tools to succeed, but you’ll need to be ready to work hard at writing your essay. Please note that all of Apogee’s Challenge Levels are not scientific and are subjectively calculated by the Apogee staff. Writing the college essay is an individual, subjective process, correct? Is this program right for my child? Please read the important note above regarding whether MCCE is right for your child. Contact us any time for more specifics about the processes employed over the course of this program. What will my child have to do in order to prepare for his or her trip? Prior to the trip, students are asked to brainstorm college essay ideas and review the 2019-2020 common application questions (which we will send to you ahead of time). We want each student to arrive with five workable topic ideas. Over the first couple of days, students will use these ideas to hone a strong essay. Apogee’s tuition costs are meant to be all-inclusive and include all meal, accommodation, and activity fees. The most significant additional expenses on our Maine Coast College Essay program will include travel to and from Portland, Maine, a sleeping bag and sleeping pad, and a laptop computer. What does a typical day on MCCE look like? Our MCCE group’s schedules vary from day to day. That said, about half of every day will be spent actively working on the college essay – whether writing individually, brainstorming with peers, or working one-on-one with our Master Instructor. The remainder of the day will be spent taking advantage of Maine’s beautiful outdoors – we’ll spend a day sea-kayaking, explore beautiful coastal hiking trails, dip our toes in the chilly Atlantic, and work with a local stewardship program on a community service project. We’ll spend several evenings working on our essays, as well. What are the accommodations like on MCCE? 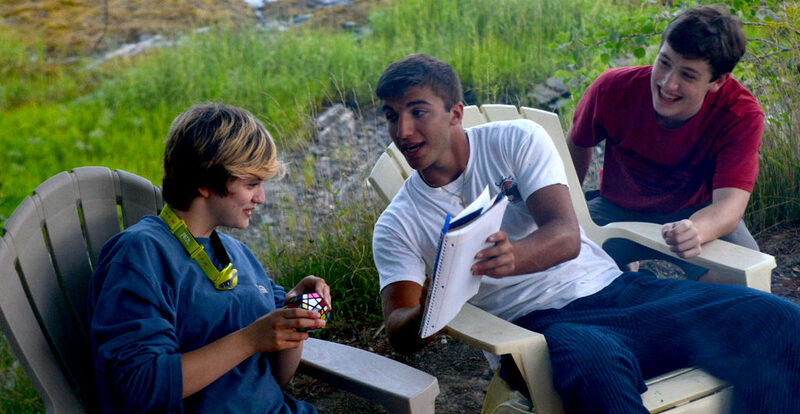 Our MCCE groups will be staying indoors in rustic accommodations along the coast of Maine. Students will sleep in beds with sleeping bags and will have access to running water and showers on a daily basis. Please note that Apogee staff members do not travel with students; our trip leaders will already be in Maine on arrival day and will stay in Maine after the trip ends. Apogee staff and trip leaders will have a detailed flight itinerary for each student who is flying to the trip start and will be at the airport to greet them on arrival. Once students are with their leaders, they will call home to let their parents know they have arrived and are with their group. Further, we encourage you to coordinate travel with other attendees; we’re happy to put you in touch with other enrolled families from your region. We will provide enrolled families with a Travel Information document covering details specific to traveling to and from Maine, including airport information and arrival and departure time windows. Please contact Apogee with any specific questions or concerns regarding drop-offs and/or pick-ups.